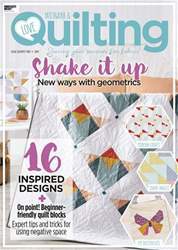 Sew the trends with issue 72 of Love Patchwork & Quilting! 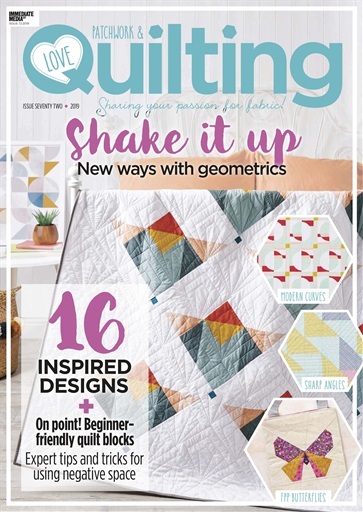 We’re shaking things up with new geometric designs, including our delightfully deco cover quilt by Brittany Lloyd. 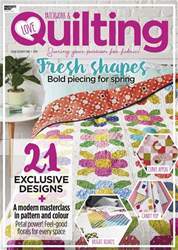 For modern curves, try our Shape Studies design by Lorna Slessor, or for something a little more sweet, why not try your hand at Susi Bellingham’s butterfly FPP? 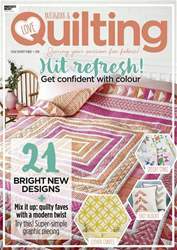 Lou Orth’s striking zigzag pattern will also come together in no time, if you’re after a quick quilty fix!